Blog Quick Quotes: Adventures with Kate! Good morning Quick Quotes fans! Kate here to host the blog for you today. In my video today, I share with you how I created quick, fun chipboard-like embellishments using Quick Quotes Stowaway 6x6 Paper Pad and Blue Hawaiian Powder Puff Chalking Ink. It is so easy! 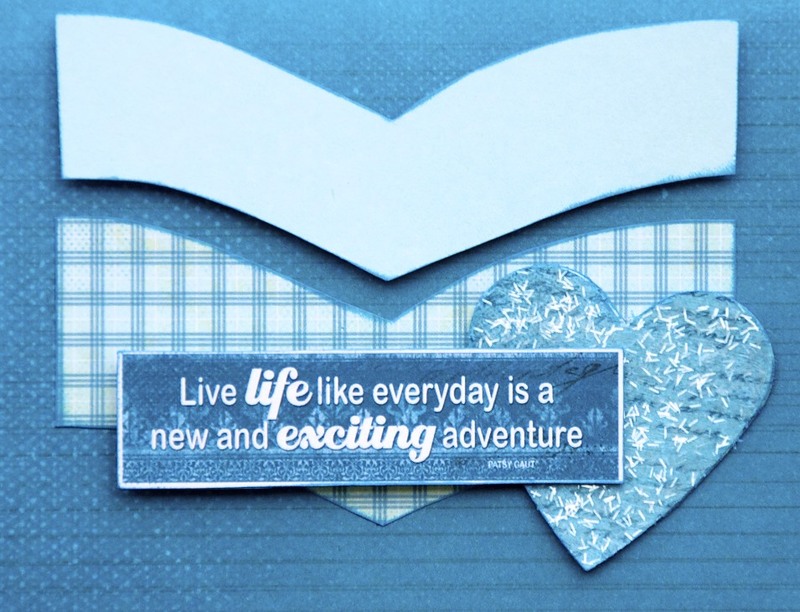 As you saw in the video, the blues of Quick Quotes Stowaway Collection are just beautiful. They are they perfect collection of colors for the sweet winter photo of my daughter from few years ago. 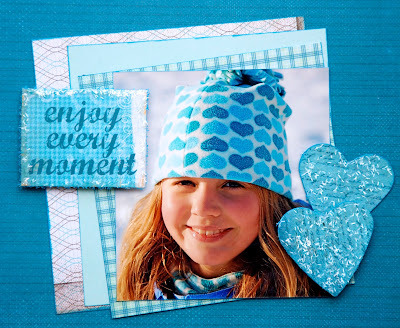 I used Quick Quotes Stowaway 6x6 Paper Pad to create all of my embellishments and photomat layers. To create the fun shaped arrows in the upper right corner cluster, I used Kiwi Lane's Cascade Trails (2A) Template. The Quick Quotes 6x6 paper pads really do have all you need to create layers, sentiments and embellishments on any layout! Don't you agree? I hope you all have enjoyed my video and have a lovely day! Beautiful page! I love all the blue! I love the way you created the chipboard type embellies! Thanks for a great video showing us how!